Made by Vanderman Manufacturing Co. East Hampton, Connecticut. Vanderman Manufacturing Co.was established in 1878 by William Vanderman and was located in Willimantic CT. The company manufactured heavy steel tool chests used by railroads and construction trades. Some of the smaller chests were used by The Wells Fargo Express Co. and were used as boot-boxes on stage coaches. 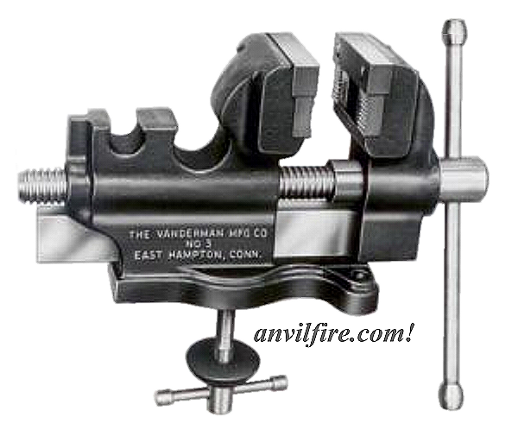 Vanderman Manufacturing also made combination bench and pipe vises used in the steam fitting trade and was considered the best vise ever made. Vincent Nesci purchased the plant in 1966 and moved it to its present location in East Hampton CT. Nesci Enterprises, Inc. makes Concrete Saws, Welding Fixtures and prototype parts. 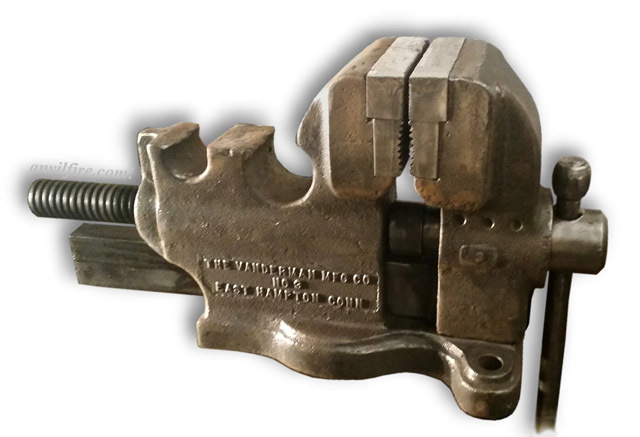 Vanderman catalog image of same vise.